Presqu'ile Point, as the peninsula was often called, offered a natural harbour and was a short portage, via Carrying Place, away from the protected inland water route of the Bay of Quinte. Lt-Gov Sir John Colborne hired Baird as early as 1833 to do a survey and estimates for a canal between Presqu'ile Bay and the Bay of Quinte and a canal inland by way of the Trent River. 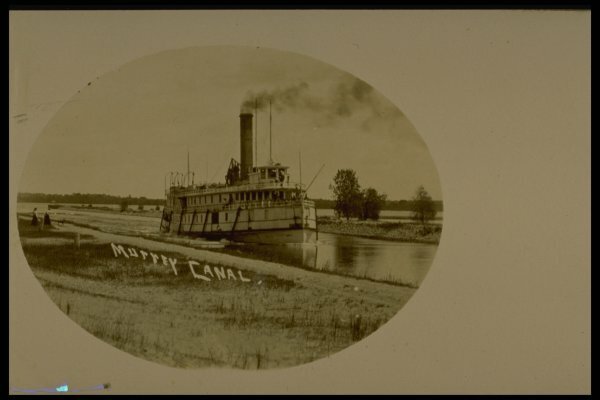 The Murray Canal was built between 1882 and 1889, almost 50 yrs after Presqu'ile lighthouse went into service, providing a safer and shorter route for sailing vessels following the north coast of Lake Ontario between Niagara and Kingston. This saved time required to reach the communities in the Bay of Quinte from the west end of the lake, saving early captains the one hundred mile trip outside around Prince Edward County. The canal is 12.12 kilometres long and consists of 2 swing bridges, one at each end, and is accessible from either the Bay of Quinte or Brighton Bay via Lake Ontario. The Trent Canal system, which meanders 386 kms across Ontario wasn't fully completed until the 1920s.